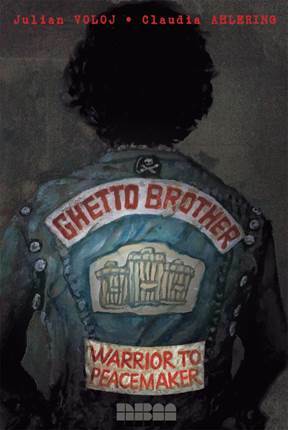 The Bronx Trolley: First Wednesdays Arts & Culture Tour stops at the Bronx Museum where author Julian Voloj will discuss his graphic novel Ghetto Brother: Warrior to Peacemaker. An engrossing view of one of the most dangerous elements of American urban history, this graphic novel with illustrations by Claudia Ahlering tells the true story of Benjy Melendez, a Bronx legend, son of Puerto-Rican immigrants, who founded, at the end of the 1960s, the notorious Ghetto Brothers gang. From the seemingly bombed-out ravages of his neighborhood, wracked by drugs, poverty, and violence, he managed to extract an incredibly positive energy from this riot ridden era: his multiracial gang promoted peace rather than violence. After initiating a gang truce, the Ghetto Brothers held weekly concerts on the streets or in abandoned buildings, which fostered the emergence of hip-hop. Melendez also began to reclaim his Jewish roots after learning about his family’s dramatic crypto-Jewish background. Conversation with Julian Voloj, Benjamin Melendez, the protagonist of the book, as well as Joseph Mpa, a former Black Panther activist.